The band shouldn’t be castigated for such spiritual progression, but the trio certainly seemed to fire on a few more cylinders when injected with a dose of energy and more loosely delivered anguish. 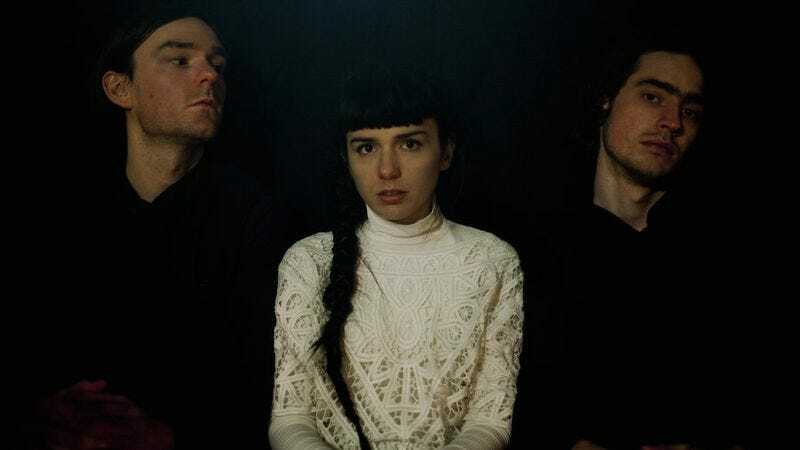 Loom had clear arcs and thrilling jumps in volume, pitch, and mood, while Fall Forever is far more level and serene, a smooth set of songs with its own demure course, even with newly cast shadows and dark corners. Second half leadoff “Ruins” is a slow burn with a cold drone, resembling the creak of a rusty door hinge, while “A Memory” offers a more upbeat, easygoing melody. Even the album’s most dynamic shifts come off as subtle and stop short of a full overwhelm, as on “Trauma”; it’s a standout nonetheless, with a mechanized hum, Oberheim DMX-sounding drum samples, prickly guitar lines, and Weiss determinedly weathering the incurable, emotional molasses from some life-shattering event or abuse. “Sane” is a heady, nearly five-minute-long journey at the penultimate point of the album, with a hook as pleading as Fear Of Men sounds right now (though the hook in “Undine” is always pleasurable, as is Weiss’ aching introduction of the song).